Italy, known for food, art, and culture, it seems as if there's something new to discover at every turn. In this edition of Featured Journeys, we're going on a Romantic Trip Through Italy. While there's so much to explore, this journey will feature three of the major cities, along with a stop in Tuscany for wine and enjoying la dolce vita. The journey begins in Rome. Founded around 753 B.C., the city is a haven for history lovers. Three of our favorite hotels below provide ideal locations to explore all the Eternal City has to offer, including the Colosseum, Pantheon, St. Peter's Basilica, the Vatican, and the Trevi Fountain. Thanks to Italy's fashion houses, many of the city's major landmarks, including the Trevi Fountain have recently been refurbished, making it an ideal time to visit. 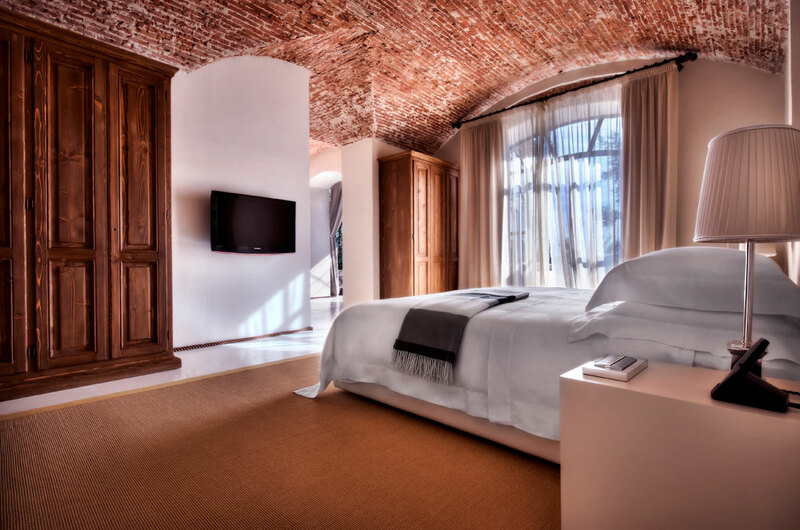 Directly opposite the Colosseum, the Palazzo Manfredi is a boutique hotel set within a 17th century villa. Offering the Michelin star Aroma Restaurant, guests can dine on award-winning cuisine while enjoying views of the iconic Colosseum. 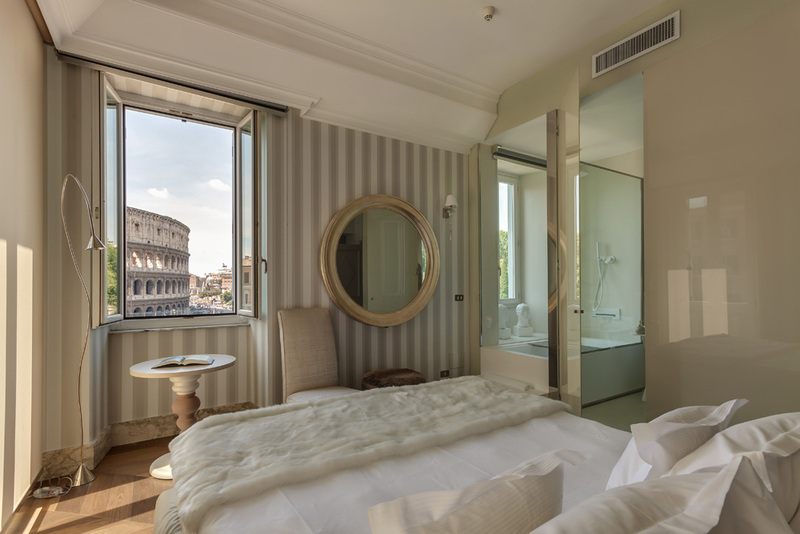 Perk: Five Star Alliance guests receive daily breakfast for 2, complimentary welcome drink, and entrance tickets for 2 to the Colosseum, Roman Forum, and the Palatine Hill. Situated in central Rome, Palazzo Montemartini offers a modern, yet romantic setting. The only hotel in the city crossed by the Servian Walls, the luxury hotel is set within a stately former palazzo with a spa, Turkish bath, and indoor lap pool. Perk: Five Star Alliance guests receive a bottle of wine, plus a 10% discount at the Senses restaurant and spa treatments. 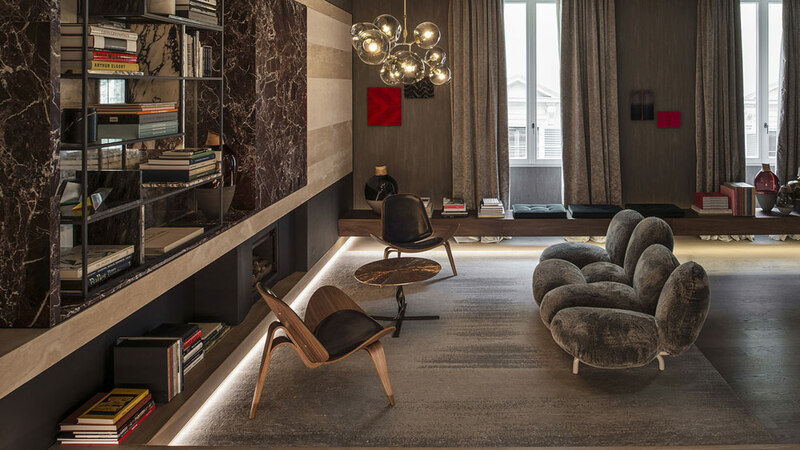 Why only shop at the Fendi flagship boutique when you can spend the night in the Fendi Private Suites? 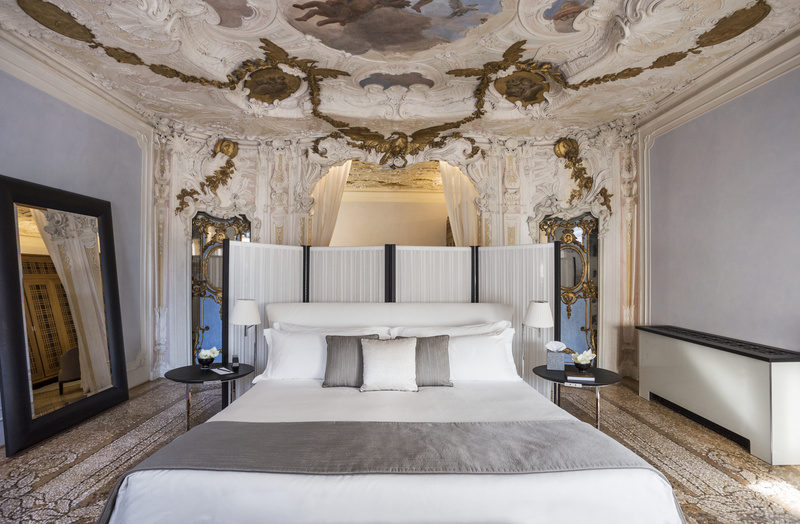 Offering seven chic and creative suites within the Palazzo Fendi, the innovative designs incorporate the brand's classical visual language in the heart of Rome. Offering a medieval setting, the city of Siena makes for a great base for exploring Tuscany. While the town itself is charming, we recommend spending a few nights (or why not an entire week if timing allows?) at one of the area's vineyard hotels where you can relax, sip some wine, and take in the beauty of the Italian countryside. This majestic estate has an 800-year history. Set in Val d'Orcia just north of Montalcino, Rosewood Castiglion del Bosco is one of Tuscany's largest contiguous estates. Completely restored, the property offers a focus on the land, wine, and history. Perk: Five Star Alliance guests receive $100 USD resort credit, and a welcome bottle of Castiglion del Bosco wine. Set amongst the Chianti vines, Castel Monastero is situated within a medieval village from the 11th century. 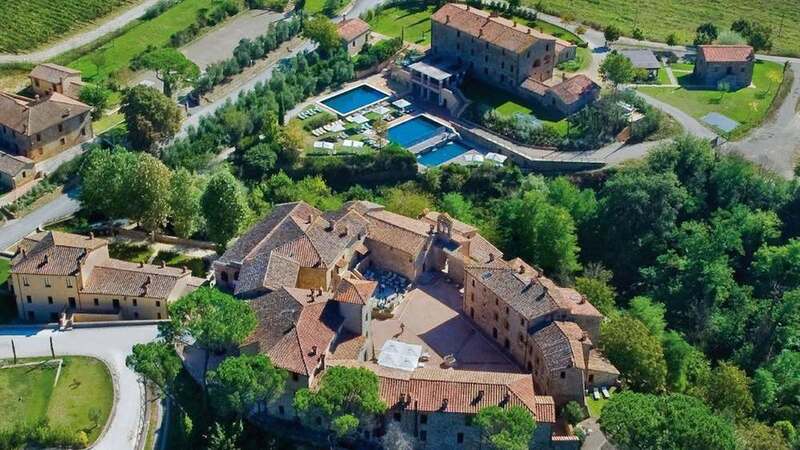 About 30 minutes from Siena, this country resort offers a Gordon Ramsay restaurant, an intimate church for weddings, wine cellar with Tuscan wine tastings, and spa with wellness programs and medical anti-aging treatments. Perk: Guests booking with Five Star Alliance receive a three course lunch for two with wine, and $100 spa credit. Nestled amongst vineyards, cypress trees, and olive groves, the Castel Porrona Relais is a historic village resort with an outdoor swimming pool, fine Tuscan cuisine at Il Chiostro Restaurant, and suites with personal butler service. The Agua Spa offers wine therapy baths, Moroccan-inspired hammam, and treatments incorporating Tuscan wine and olive oils. Perk: Five Star Alliance guests receive a complimentary bottle of wine and 15% discount on spa services. Considered the birthplace of the Renaissance, Florence is a must-see for art lovers. Yes, Michelangelo's "David" is here, but there's so much more to see. Il Duomo, the Florence Cathedral was designed by Filippo Brunelleschi, and was built on the site of 7th century Church of Santa Reparata, where visitors can see the remains of the foundation in the crypt. On the piazza outside of the cathedral is the Baptistery of St. John, considered the oldest religious site in all of Florence. Stroll across the Ponte Vecchio to the "newest" part of the city for shopping, and be sure to try the iconic Florentine Steak for one of your meals. 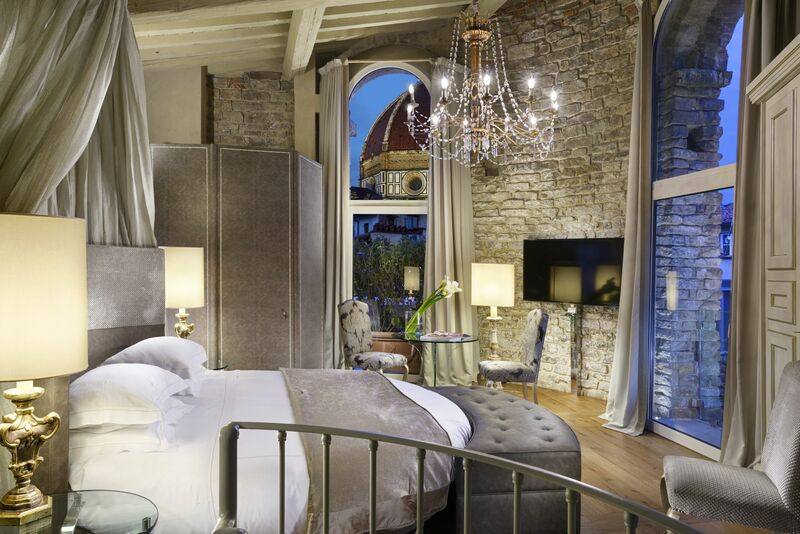 Steps from Il Duomo Cathedral, Brunelleschi Hotel Florence is in the heart of historic city center. Set within a 6th century byzantine tower and medieval church from 1400, the luxury boutique hotel has an upscale Italian restaurant and traditional trattoria. Note: you may recognize the property, as it is where Robert Langdon (Tom Hanks' character) stays while in Florence in the DaVinci Code and Inferno. Perk: Five Star Alliance guests receive a $50 food and beverage credit per room, along with a welcome amenity. 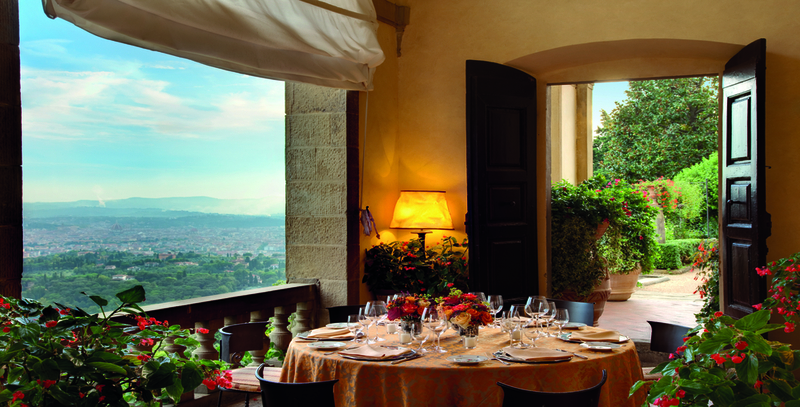 Perched on the hillside of Fiesole, Hotel Il Salviatino is set within a 15th century villa. 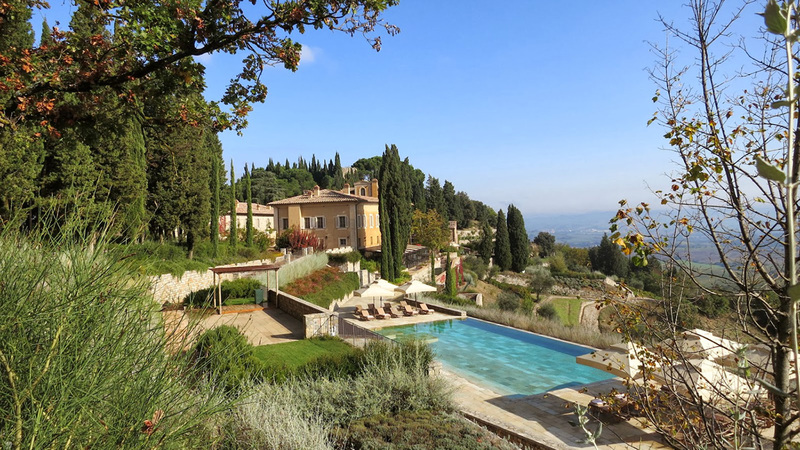 Overlooking Florence and the rolling Tuscan hills, the unique property has outdoor pools set immersed in the green hills. There's a spa with aroma's of Dr Vranjes, an exclusive Florence perfume house, along with La Cucina serving Tuscan cuisine crafted with ingredients grown on the property. Surrounded by gardens with a facade attributed to Michelangelo, Belmond Villa San Michele is set within a former monastery. Minutes way from the center of Florence, the building was expertly restored with the assistance of the Florence Fine Arts Authority. There's an Italian Cookery School with hands-on cooking classes, La Loggia Restaurant, and a hilltop pool. Perk: Five Star Alliance guests receive lunch for two at the Pool Restaurant, fresh flowers, and fruit upon arrival. The final stop on the journey is Venice. The City of Canals offers a romantic setting with ornate palaces lining the Grand Canal, narrow mysterious streets, and arched marble bridges crossing over canals with gondalas. Popular with artists and writers for centuries, the city is an ideal place to roam and wander with the one you love. Designed to approach from the water, Venice's iconic St. Mark's Square is a must-see, but can get crowded. We recommend visiting in the early morning. 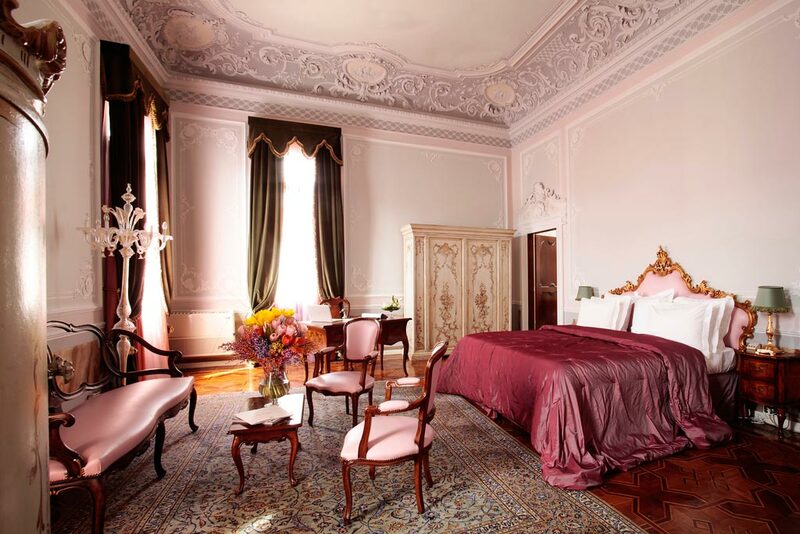 Overlooking the lagoon, Boscolo Venezia is tucked inside a 16th century villa with a hidden garden. Providing a classic Venetian setting, the hotel's Giardino Segreto Restaurant provides a Boscolo Food Experience with themed islands, open kitchens, and an emphasis on food presentation. 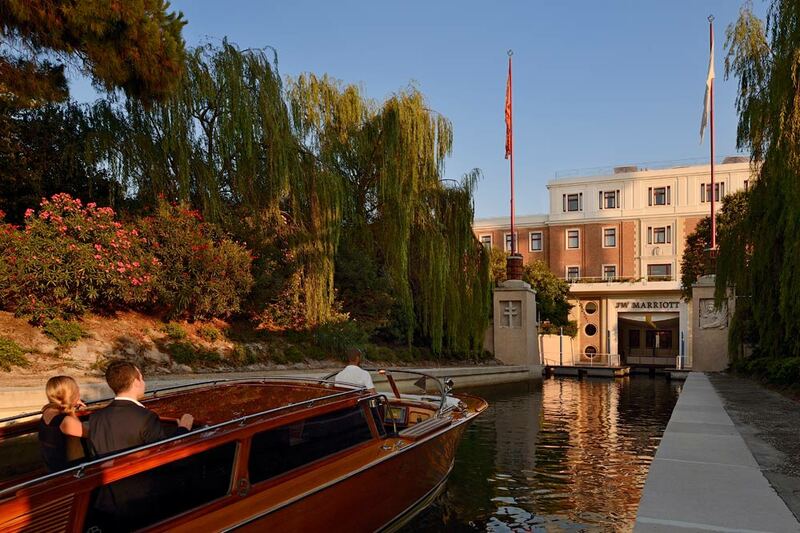 The Serenissima spa draws inspiration from the city's wellness traditions, and the hotel has a private boat offering transportation to St. Mark's Square. Tucked on the private island of Isola delle Rose, the JW Marriott Resort and Spa is a 15-minute boat ride across the lagoon to St. Mark's Square. There is a Wine & Cooking Academy providing guests with the opportunity to learn the art of Venetian cuisine, and the family-friendly property has a kids club and family activities. There is a romantic church, four restaurants, water sports, and a rooftop lounge with a pool. 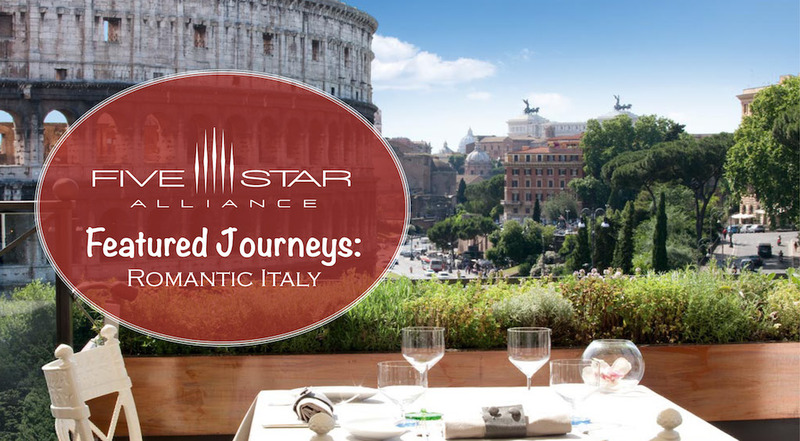 Perk: Five Star Alliance guests receive VIP status, Venetian sweets, and a bottle of prosecco. 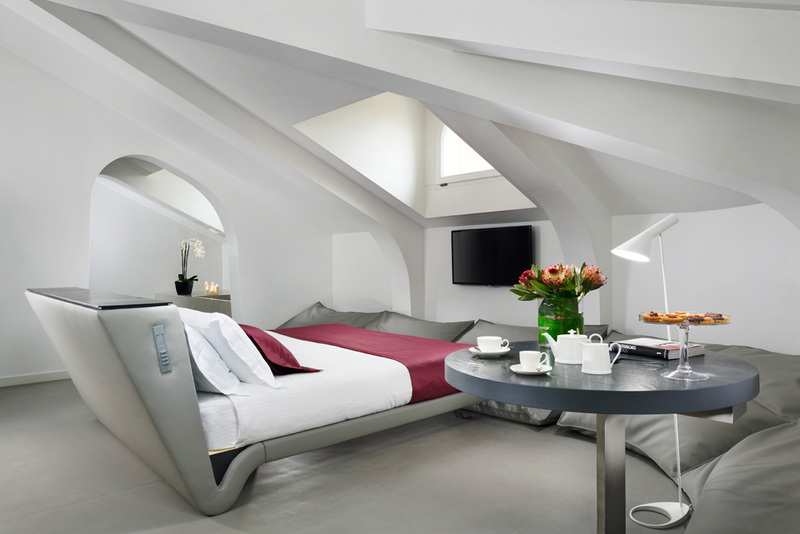 Overlooking the Grand Canal, guests typically arrive by boat to the Aman Canal Grande Venice. Evoking the feeling of bygone era with sweeping staircases, soaring ceilings, and historic frescoes, the luxury hotel has private gardens, and a boutique specializing in Venetian glassware. There's a roof terrace, along with the Dining Room serving Italian and Asian cuisines, and guests have walking access to San Polo. Would you like to receive emails with Featured Destinations? Sign up for our newsletter.